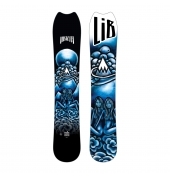 The 2019 Lib Tech Jamie Lynn Phoenix Tittyfish is another brand new board for 2019, and where the other 2019 Jamie Lynn board (the Dagmar) takes a more cruisy approach to all terrain riding, the Tittyfish takes no prisoners and plays no games, but has a hell of a time while doing it. The Tittyfish combines a strong flex, aggressive camber profile, and a speed-focused sidecut, to create a powerful board that craves fast runs and solid landings, and thanks to the tapered shape and unique floaty nose, this thing is a monster in powder as well. 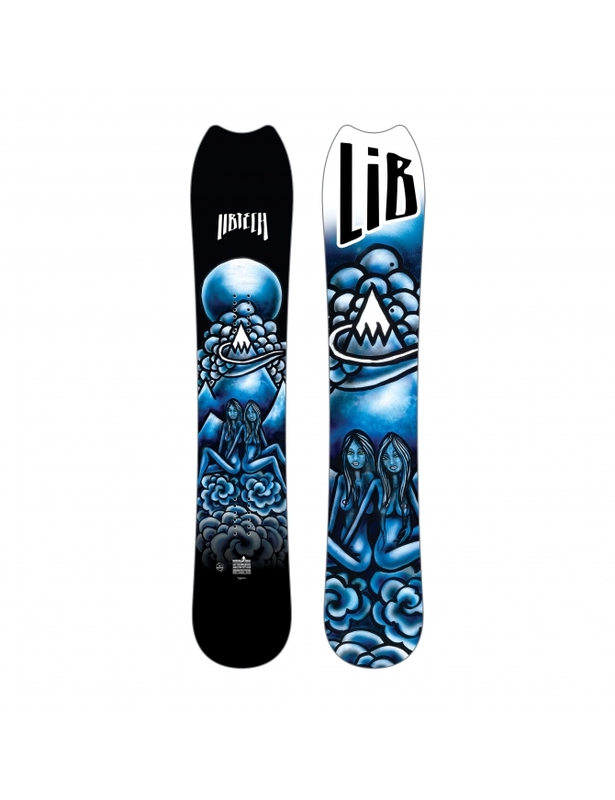 This board has a setback stance along with a wider nose and narrower tail, giving you more float in powder and more control riding nose first. Light, Environmentally Nice, Strong. Combines Aspen and Paulownia woods with Triax and Biax Fibreglass for a great long lasting ride. Fast, strong, low maintenance, and environmentally friendly. This base is a mixture of sintered and extruded, giving you the best of both worlds.